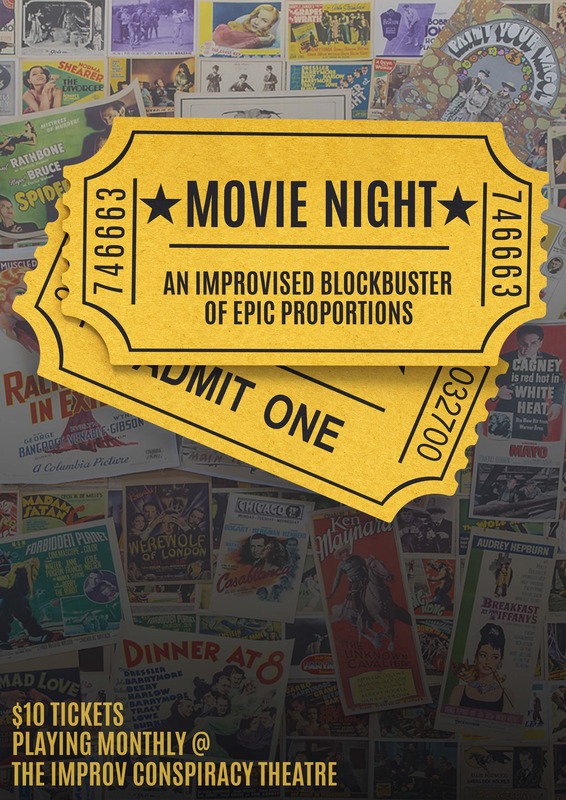 MOVIE NIGHT is Improv's Night of Nights! An start-studded cast creates a never before seen movie right before your eyes! In this show, improvisers transform into actors, directors, producers, cinematographers, screenwriters, lighting technicians, gaffas and "best boys" (what a dumb job title). You're a big shot, aren't you? Because you're invited to a WORLD PREMIERE each and every month. The Improvised Movie format, on which this show is based, was created by comedy legend Del Close and has been performed in festivals and theatres all over the world.